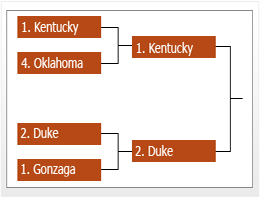 Managing your college basketball tournament bracket contest has never been easier. Create a group online for your friends to join and enter their college basketball tournament brackets. where "mygroup" is a name of your choosing. Then your friends can enter their brackets and standings will be automatically generated online. There's no software to install, no ads anywhere, and we'll never send spam to you or your group members. Customize your group's settings and set up your bracket scoring system and tiebreakers any way you want. 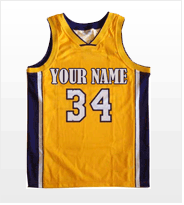 Change the look and feel of your PickHoops page, down to the color, name, number, and font of your jersey. Then talk trash with your group on the message boards and create instant voting polls. Each group member enters their bracket using PickHoops's state-of-the-art entry forms. Then, as tournament results come in, PickHoops will automatically update your group's stats and standings. Choose your picks yourself or try the Quick Pick; one click and picks are generated by the computer. Don't like your bracket? Reload and try again until you have the perfect picks. In addition to all the standings, statistics, and reports you'd expect, PickHoops has exclusive features like the Risk Assessor. Using advanced modelling, we calculate the "riskiness" of your upset picks based on past tournament results of similarly seeded teams. 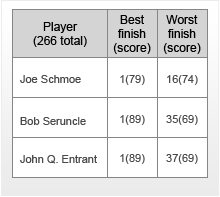 PickHoops boasts comprehensive "Best Result" scenarios that tell you who is still alive in the race for your group championship and what teams they should root for. Contact us for details on how to customize and re-brand your PickHoops contest as your own, with your own logo at the top of each page. Contact us for information about larger groups or customized corporate games that can be embedded in your website. You can upgrade your group after purchase, for the difference in price plus a $1 transaction fee. PickHoops accepts major credit cards (Visa, MasterCard, Discover, American Express), checks, and Paypal. "I received 50 plus compliments, and I will not hesitate to use your site again." "The service you share by eliminating advertising, automating the pool enrollment process, and providing tabulation services is infinitely superior to any other option on the market." "This is the third year I have worked with you and you do it better each time." "I have used TurboTourney in the past and I find this much more user-friendly." "We are extremely impressed on how quickly you update the standings after the games conclude. We also love the fact that later in the tournament you produce a grid that shows your best possible finish. These features make the site one of the best out there." "I am very pleased that I chose your site! The feedback has been awesome." "Your site is great, and I have had a number of compliments from the participants in my pool. I will look forward to using your site again next year." "You guys are doing a great job. This site is the best thing since sliced bread." "Every year I look around and test other sites. Every year, I come to the same conclusion that you guys are the best by far."